92" Bar with wooden foot rest by ECI. An ECI exciting new concept. 78” bar with optional universal return that will work on right or left side of bar. 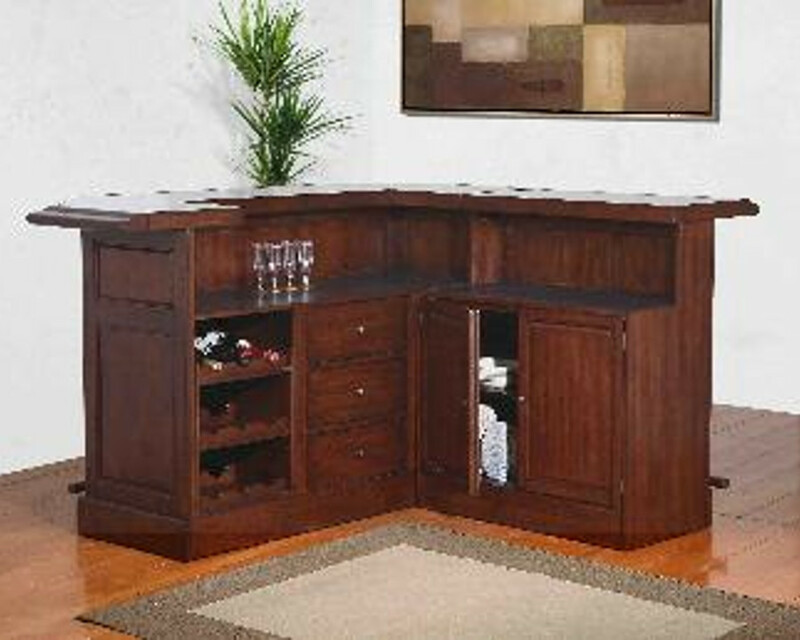 Bar includes a removable wine rack that can be placed on opposite side of return, laminate bar tending working surface, wood foot rest on front bar as well as return, 3 full extension drawers and 2 doors with adjustable shelf rack. 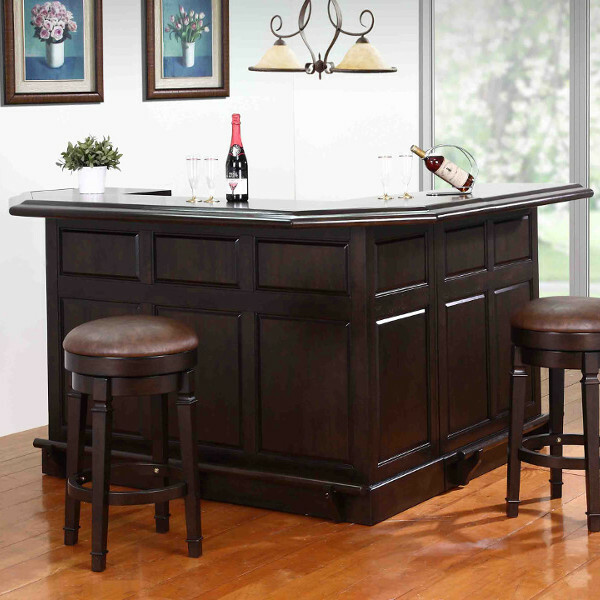 Front Bar - 78" x 32" x 42"
Return Bar - 35" x 32" x 42"